Choosing a Domain Name – Pick a domain name which contains your targeted keyword. Domain Registration Length – Google considers domains which are paid several years in advance more legitimate than 1 year domains. 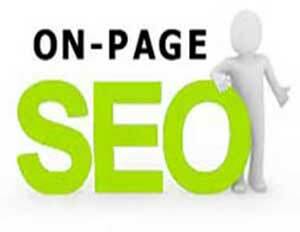 Page Title Tag – Besides the content, the page title tag is the second most important part of on-page SEO and should start with your most important keyword that is revelant for the page contents. Description Tag – Not as important but still put keyword here. 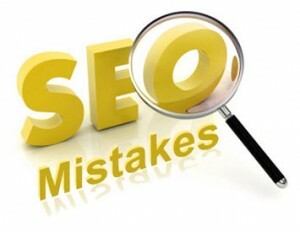 H1, H2, H3 HeadingTags – These send a good signal to Google so make sure your keyword is here also. H1 is your top heading tag, H2 (which I don’t use much) is your subtitle heading and H3 is the paragraph heading. Make sure these headings are bold and contain your kewords. Text Content – Important keyword should be in the first sentence of the first paragraph. Try to strive for 200 words or more breaking them up into individual paragraphs with an H3 tag. Use anchor text links in your content pointing to revelant content on other pages. Keyword Density – 3% to 5%, too many can hurt you. Don’t over stuff keywords in your content, page title, description and headings tag. Keywords – Use Google’s AdWord Key Planner to research your targeted keywords. Competitive keywords will be hard to rank for. Images – Make sure the filename, alt text and description contains keyword. Keep images optimized to a small file size. PNG transparent images can be quite large in file size so choose PNG-8 instead of PNG-24 which can reduce your file size by almost 50%. Quantity of Internal Incoming Links to a Page – Gives an indication of the page’s importance relative to other pages. Use different words for anchor text links on other pages pointing to this page. URL Length – File path after the last / in the URL should no more than 3.5 words and contain your keyword. External Backlinks – Incoming links to your website should be from high quality PR sites and never from server link farms. Content Updates – Keep your page content updated regularly as Google keeps track of update frequency by reading the last modified line in the sitemap.xml file. Adding or removing sections is more important than just changing the order of a few words. Sitemap – Set page change frequency to daily or weekly and page priority accordingly.